Are you wondering about rain gardens? 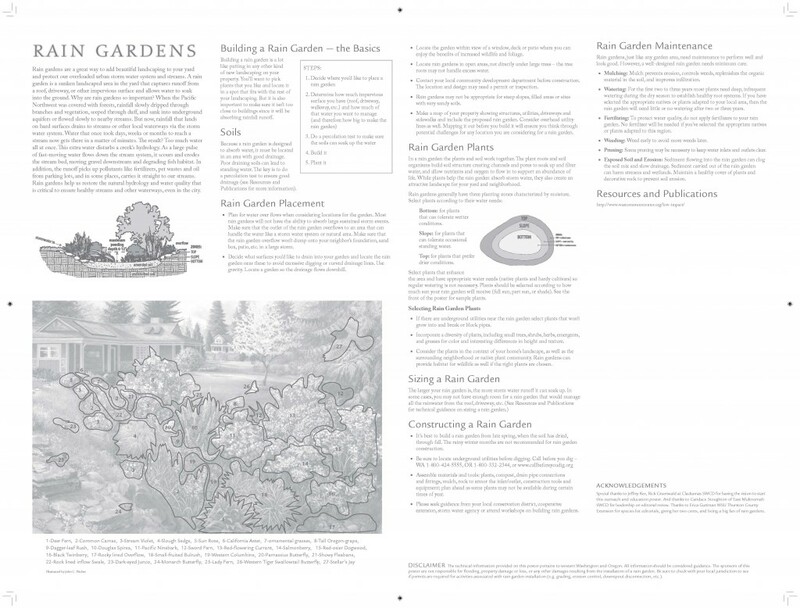 Welcome to Washington State University Extension’s rain garden website. 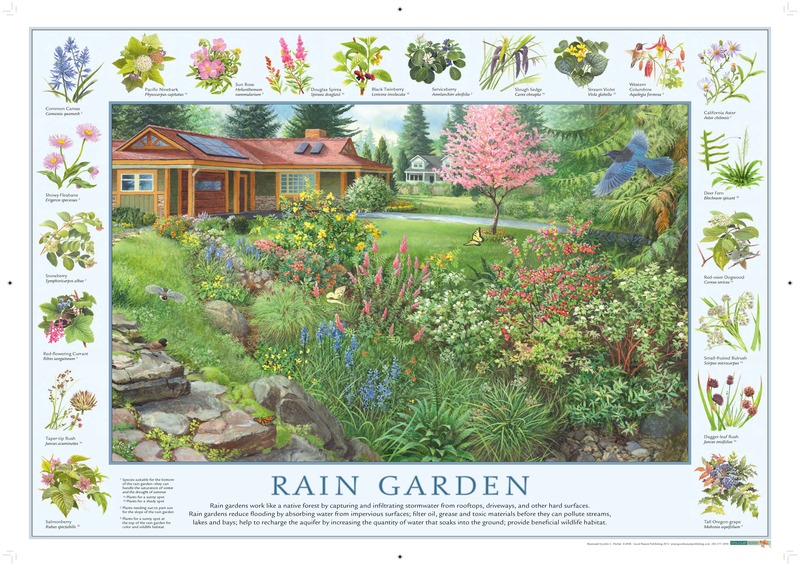 This site provides everything you need to know about rain gardens; from the basics of how they work to building your own — AND where to get more help if you need it. We are pleased to offer this beautiful 2-sided poster for you to download. Total size is 25″ x 19″. The front is full-color and the back is black and white. For a high resolution file (92.5MB-very large) suitable for printing please contact us via email. Click here for a low resolution downloadable copy of the poster suitable for creating flyers.